Residential Elevators is a family owned business dedicated to it’s employees. We believe that creating a diverse and inclusive work environment as well as one that rewards employees for their contributions and hard work is essential. Our comprehensive benefits together with a variety of career options make Residential Elevators an exceptional place to begin and grow your career. Join the Nation’s Leader in Home Elevators Today! Residential Elevators is looking for a full-time driver helper for safe and efficient delivery of custom products to customers. 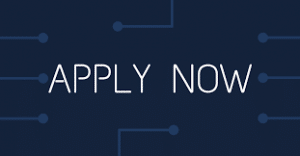 Position is based out of the Crawfordville, Florida plant/warehouse (Requires Weekly Travel).  Residential Elevators is looking for a full-time purchasing manager to negotiate with vendors for the purchase of all materials, supplies, equipment and services used by the company. Residential Elevators is looking for an experienced Cab Builder with training or experience in trimming cabinets, wood building, or molding to work full-time at least 40 hours a week at their Crawfordville, Florida plant/warehouse. Residential Elevators is looking for a manufacturing plant worker who is willing to learn and be trained on various machine equipment. Individual will be pulling heavy parts for manufacturing and power tool usage. Residential Elevators is looking for a Warehouse Assembler with a CDL Class A Driver’s License to deliver parts to our Crawfordville, Florida plant on occasion. Assembling nuts, bolts, washers, slings, etc. into kit boxes and keeping materials stocked. Experienced powder coater with knowledge in the cleaning process, powder application, and optimal oven curing times. Experienced CNC brake press operator with steel shop experience. Responsible for using electronically powered industrial machine to create, shape and customize metal materials. Responsible for preventative maintenance, troubleshooting, safety and repair work on elevators. Prior elevator experience required for this position. Looking to start your career as an Elevator Service Tech or Installation Mechanic? Residential Elevators Mechanic in Training (MIT) program may be the career path for you. The MIT position provides great mentoring, training, and hands-on experience with installing and servicing home elevators.